Plan Graduation Parties Early - Order Your Confetti Cannons Now! Springtime means graduations — both high school and college — all across the country. It also means another annual tradition, one that has been going on since time immemorial. What is this mysterious event? Why, it's the thousands of graduation parties held shortly after the great day. This is a time when so many teens go from high school student to adult and the parties can get pretty fun. One way to add a crazy (but safe!) touch to the party is by making sure everyone has at least one of our confetti cannons to set off. At the Wedding Sparkler Outlet, our confetti cannons are not just a lot of noise and a few bits and pieces of confetti. Our party confetti cannon measures 2 inches in diameter and 12 inches long. It is packed with thousands of tiny confetti bits. They are safe to use, as they are powered by compressed air that can shoot the confetti up to 15 feet in the air. There are no pyrotechnics to worry about, no risk of fire; just a load of fun for everyone. Our confetti cannons can be used both indoors and out. If you are planning an outdoor graduation party, you might want to consider our water-soluble confetti cannons. These cannons fire a load of paper confetti that has been chosen for how quickly and easily it dissolves in water and the fact it is made from eco-friendly materials. We have several different colors for you to choose from. If adding confetti cannons to your party sounds like just the ticket, then you need to start thinking about getting your order together soon. The closer you get to your party, the harder it will be to guarantee your order will arrive on time. So, while we will always fill your order as quickly as possible, the process does tend to slow down a little during the busy seasons as we are swamped with orders. Be sure to check our shipping page to get an estimate of the shipping time to your area of the country, as all orders are shipped ground (no expedited shipping options are available). We offer confetti cannons in multiple colors, to match your graduation party theme. Having an upscale grad party? 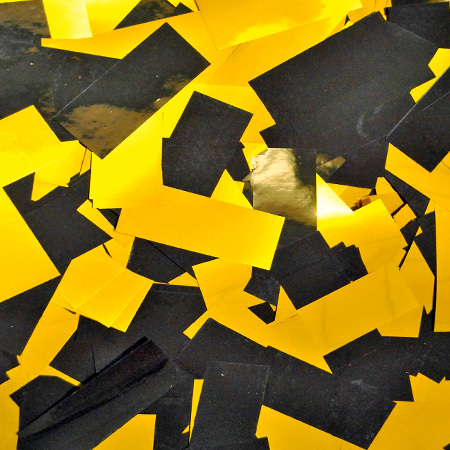 Choose gold and black confetti to fill the air. Was your school’s primary color blue? We have a blue party confetti cannon that would be perfect. How about a graduation party for a group of young ladies, where each guest gets a pink metallic confetti cannon! For the finest selection of confetti cannons at low prices, why not visit us online where you can see our entire selection of confetti cannons. Remember, be sure to order early to make sure everyone has a party confetti cannon on grad party night!